Late WARRANT warbler’s renditions of heavy rock classics – inspired and otherwise. 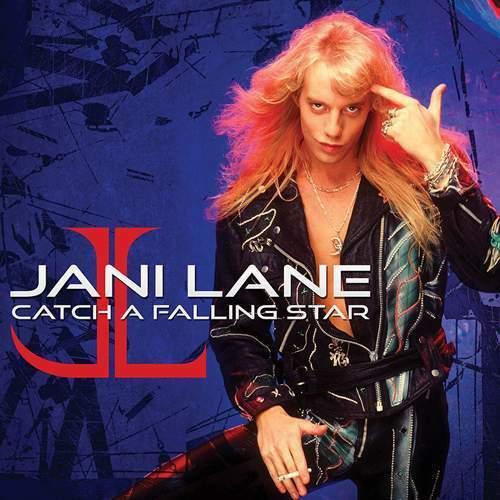 In his 47 years, Jani Lane amassed an amazing body of work that has yet to be properly anthologized, and this disc is an attempt to collect the pieces the singer covered for various tribute albums. There were more than nine cuts gathered here, yet “Catch A Falling Star” focuses on the ones pertaining to Jani’s chosen genre. Still, what with hard rock’s lack of homogeneity, Lane’s handling of other artists’ catalogues resulted in a mixed bag of performances. Thus, “Lay Your Hands On Me” is crumbling despite the presence of his band members Erik Turner and Jerry Dixon, yet in the crunch of Jani’s catchy delivery and Ryan Roxy’s rock ‘n’ rolling guitar,”I Want You To Want Me” kicks things off in fine fashion. And while the groove laid down by Tony Franklin and Gregg Bissonette fuels Lane’s voice and George Lynch’s fret-runs on “Panama” which the singer had made his own, the same can’t be said of his rather raw take on “Free For All” – featuring the now-also-deceased Randy Castillo – and the lacklustre reading of “Doctor, Doctor” that, for all its deceptive simplicity, appeared difficult to do justice to. But if “The Ocean” finds the artist merely imitating Robert Plant’s wail, “Electric Eye” – a thundering addition to this reissue – was where the whole power of those pipes got nailed. It’s an uneven compilation, yet it’s good to have this facet of Lane’s talent preserved in one place.